Continuing our list of classic trucks we’d like to see in the showroom once again, here’s a handful of models that left out in the last post. 1. The Little Red Express. Some trucks earn our favor with substance. Others do it with character. Dodge’s Little Red Express (and its lesser known sibling, the Warlock) win with the latter, mostly because of the smokestack exhaust. Offered in 1978 and 1979, the Little Red Express is a fairly rare pickup…at least an honest-to-goodness original, and not a careful remake. 2. The Silverado 1500 SS. 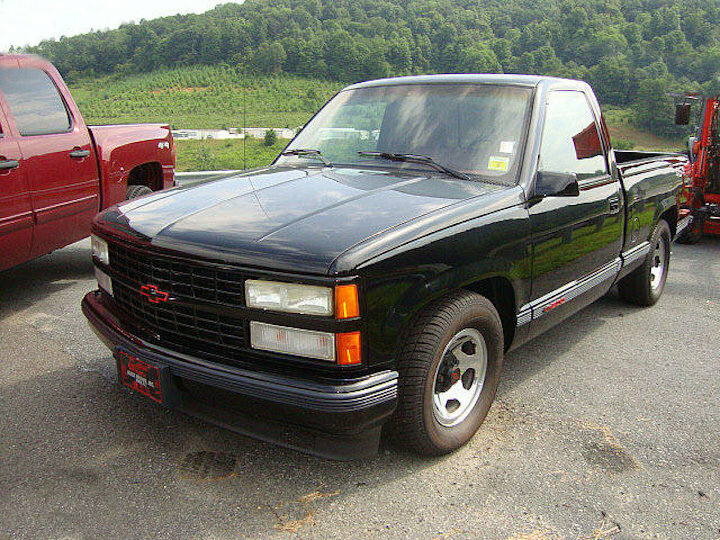 In 1990 Chevrolet became king of the hill with the Silverado 1500 454 SS. A menacing black paint job, special graphics, heavy duty suspension, and a monstrous 7.4 liter V8 made this truck the next best thing to Dale Earnhardt’s NASCAR racer. The SS was available through 1993, and earned critical acclaim from reviewers at Car & Driver and American Quarter Horse Monthly alike (NOTE: I have no idea about “American Quarter Horse Monthly.” I’m not even sure it’s a real magazine). 3. The F-150 Lightning. 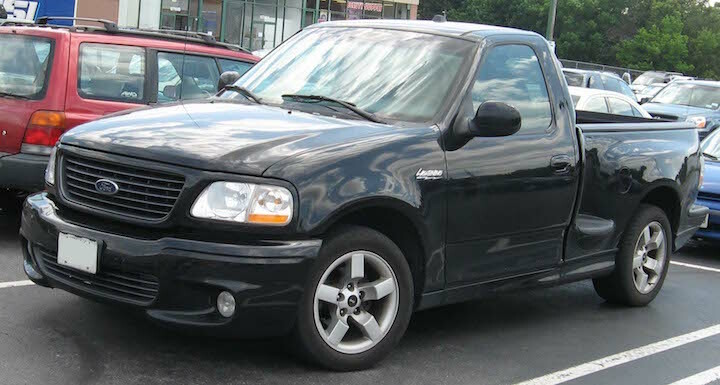 Not to be outdone by Chevy, Ford answered with the F-150 Lightning, built from 1993 – 1995 and again from 1999 – 2004. Ford took the performance truck niche to a new level with its Special Vehicle Team responsible for the high-performance tweaks. Having driven this truck personally on more than one occasion, I can testify that the scream of the supercharged 5.4L at WOT is exhilarating (and a bit terrifying). 4. Toyota FJ45 Pickup. Everyone knows about the classic FJ40 Land Cruiser, a vehicle with such a storied history that Toyota brought it back to life as the FJ Cruiser in 2006. However, while Toyota did a great thing in bringing back the old FJ40, they forgot about the FJ45 pickup! 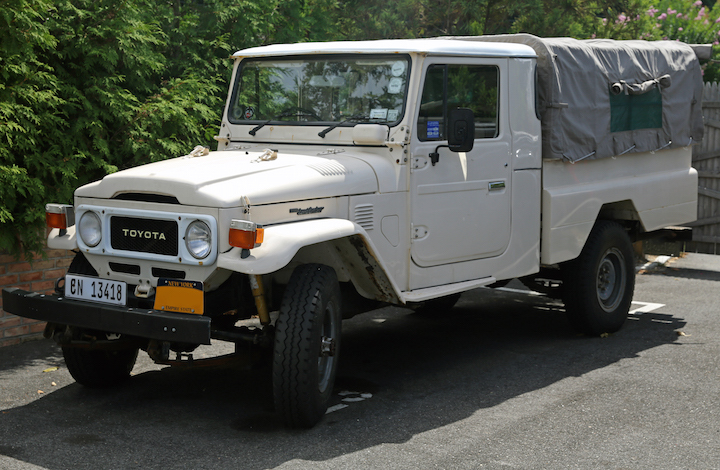 Essentially a longer FJ40 with a moderate-sized truck bed, the FJ45 offered a unique combination of rugged off-road ability and practicality that few trucks can match. 5. 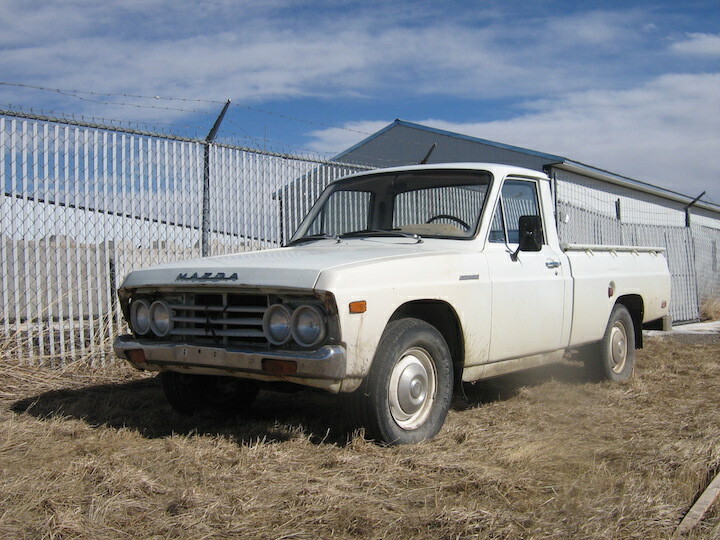 The Classic Mazda B-Series. Last but not least, a compact truck with a loyal following: The Mazda B-Series. The first generation was built from 1961 – 1965. The second generation was available through 1977. 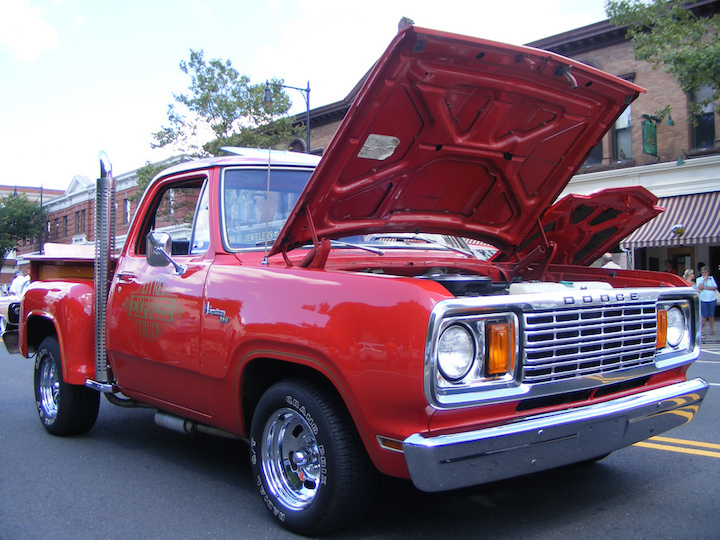 Most prized of these little trucks were the rotary engined variants built from 1974 – 1977. Affectionately known as REPUs (rotary engine pick-up), this quick little truck was affordable and fun to drive fast (or at least try to drive fast). Honorable Mention: Studebaker 2R. The once great Studebaker has left a legacy of interesting vehicles including several generations of pick-ups built from 1930 – 1964. 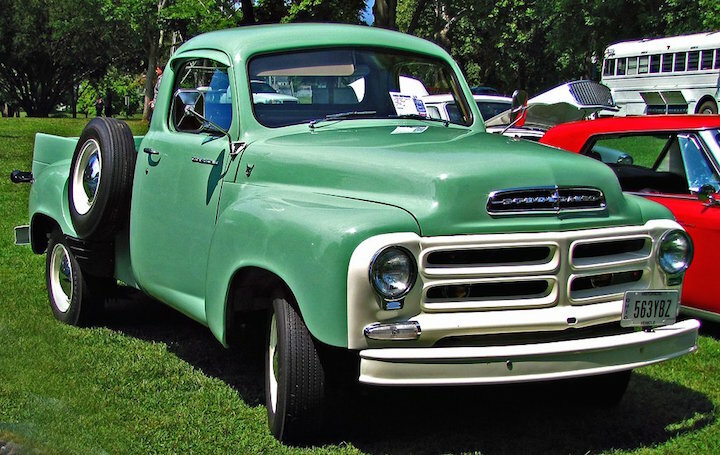 Possibly the best known and loved of the Studebaker trucks was the 2R Series of 1949 – 1953, with beautiful lines, relative scarcity, and an affordable restoration price. While I’m not sure where a new Studebaker 2R would be sold, I can’t talk about cool old pickups without mentioning this one.